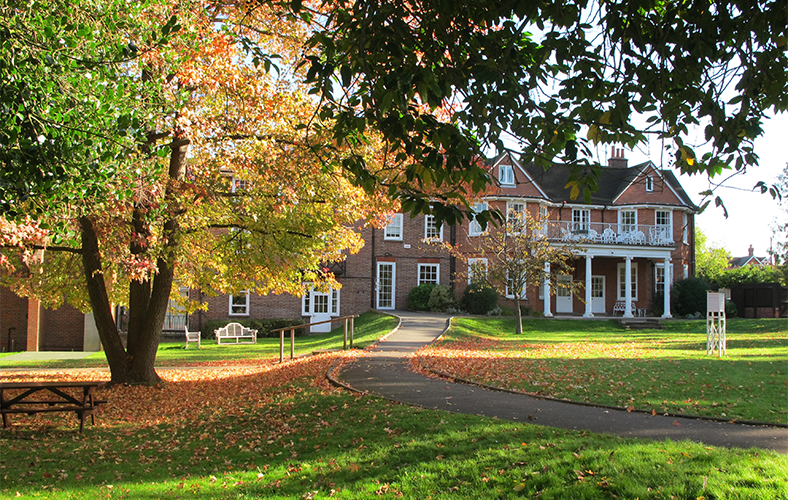 Tormead is one of the country’s leading independent girls schools located in Surrey. We are very proud of our school and its ethos of encouraging each individual pupil to develop her talents to the full in a happy, caring and supportive environment. Our academic expectations are high, and we value our students’ impressive record of examination successes and university places. We are equally proud of their many other cultural and sporting achievements, and of their varied contributions to the life of the wider community. Tormead values individuality, celebrates diversity and encourages girls to be themselves, whilst emphasising equally the value of tolerance, teamwork and collective responsibility. The academic pace offers stimulus and challenge, but is combined with an excellent range of extra-curricular activities enabling Tormead to offer a broad but balanced, progressive education. Underpinning this is our wholeheartedly committed pastoral care of the pupils, allowing us to monitor carefully the progress and welfare of every girl. We work closely with parents to enable each girl to leave Tormead at ease with herself, and ready to face with confidence the challenges of higher education and beyond. We believe an important part of preparing our girls for the future is to ensure they are adept with the use of new technologies. To this end, we have embraced tablets into our curriculum with the deployment of a 1:1 iPad scheme for girls in Years 5 to 13. With the opening of our new premises in Autumn 2015, the girls benefit from innovative spaces to think, collaborate and reflect. This, coupled with an enhanced digital infrastructure, delivers an innovative, creative blend of modern technology with high standards of teaching. The best way to find out more is to come and visit us. I should like to invite you to one of our open days so that you may meet our staff and students, and take a tour around our facilities. If you are unable to attend an open day, our Registrar, Mrs Melanie Hobday, will be pleased to arrange an alternative visit to Tormead. She can be contacted on 01483 796040. I look forward to welcoming you and your daughter to Tormead.